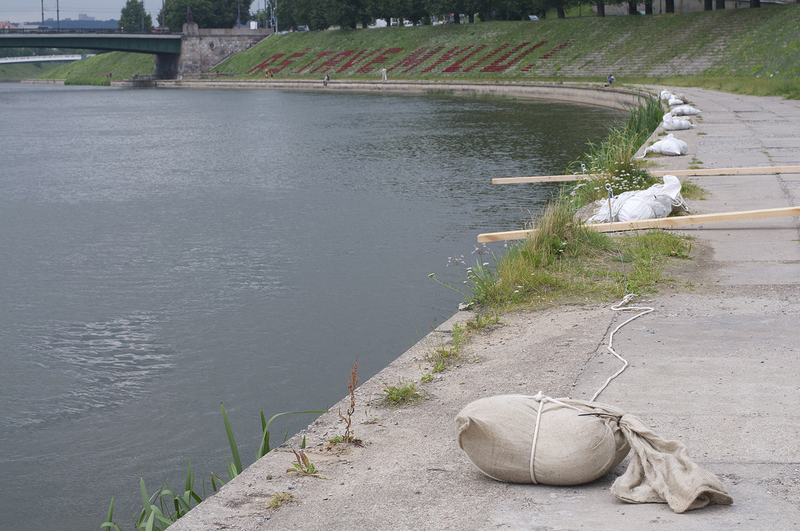 Kultflux initiates a platform to preserve the Neris river as an open, meditative, cultural and historical space. The installation is built in a group process of international students led by Erick de Lyon. 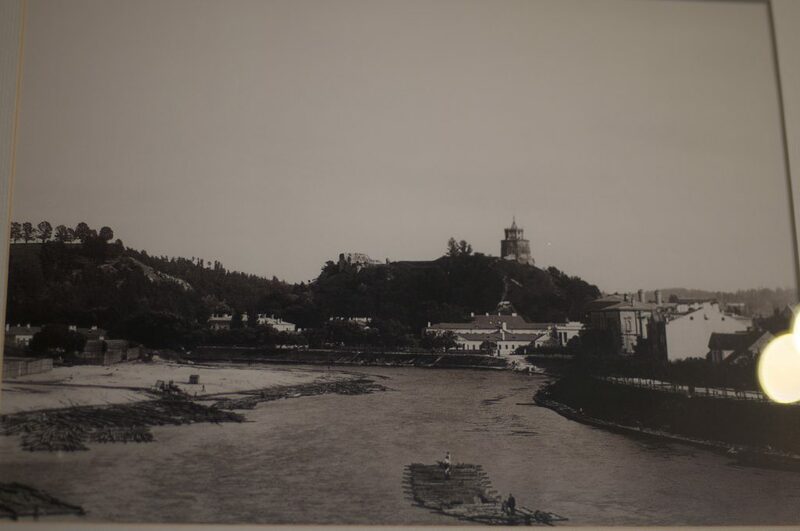 And it refers to the former use of the river for wood transport. The beams remain on their place in strong current, by sand bags, floating rhythmically over a distance of approx. 265 m.